NOW Broadband gives you affordable internet and NOWTV bundled together in one handy package. Popular offers include streaming and on-demand TV passes for premium entertainment, sports, Sky and kids TV channels. matching NOW Broadband broadband deals available. NOW Broadband broadband deals available. Enjoy discounted international call rates. Calls to UK mobiles charged at 17p/min evenings, 19.35p/min daytime and 14.25p/min weekends. The Bottom Line: You pay £18.00/mo for 12 months, then £33.99/mo. 6 months Entertainment pass + Free Anytime calls! The Bottom Line: You pay £18 for the first 6 months, then £25.99/mo for 6 months, then £41.98/mo thereafter. The Bottom Line: You pay £25.00/mo for 12 months, then £43.99/mo. The Bottom Line: You pay £25 for the first 6 months, then £32.99/mo for 6 months, then £51.98/mo thereafter. The Bottom Line: You pay £30.00/mo for 12 months, then £51.99/mo. The Bottom Line: You pay £30 for the first 6 months, then £37.99/mo for 6 months, then £59.98/mo thereafter. NOWTV is a pay-TV provider owned by Sky which launched in 2012. They started selling bundled NOWTV and NOW Broadband deals in 2015, so it’s a relatively new entrant to the internet provider market. If you must have premium TV channels along with your broadband then NOW Broadband is the cheapest way to do it. Often calls are bundled together with NOW Broadband’s packages, so you may well find that evening and weekend calls come at no extra cost as part of your deal. NOW Broadband’s star attraction is its access to Sky channels like Sky Cinema, Sky Sports and kids favourites like Nickelodeon, Boomerang and Cartoon Network through NOWTV bundles. One month deals are a popular option but you can sign up for 12 month contracts too. What can you get with NOW Broadband? NOW Broadband offer standard broadband up to 17Mbps but their prices always include some element of TV package so aren’t competitive against simple broadband-only providers. There’s two flavours of fibre to try with NOW Broadband, 38Mbps and 76Mbps. Unusually both these kinds are available on 12 month and one month rolling contracts. 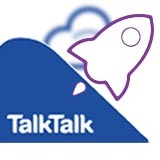 Free Evening and Weekend Calls will add £4 a month to NOW Broadband deals, while Anytime Calls adds £8 a month. Nothing doing with NOW Broadband. This is where NOW Broadband comes into its own. Monthly NOWTV passes for Kids, Entertainment, Sport and Sky are on the table. While it may not offer the best value broadband deals, streaming the latest TV boxsets through NOWTV definitely adds to the NOW Broadband sales pitch. Bundling broadband and TV together might get you the deal of your dreams, too. If the little ones are doing your head in, plonk them in front of Peppa Pig or Spongebob. If you need some time out for yourself, there’s top-rated American dramas like Veep, The Blacklist, The Leftovers, Modern Family and Silicon Valley. You get it. It’s all about top TV. You can switch in and out of monthly passes so whatever tickles your fancy month to month is up for grabs.